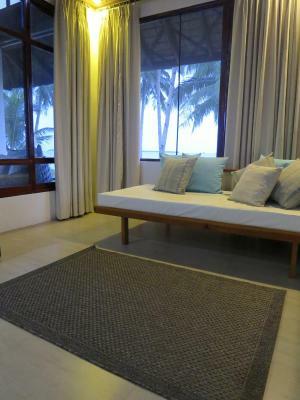 Lock in a great price for Sandy Feet Siargao – rated 9.5 by recent guests! 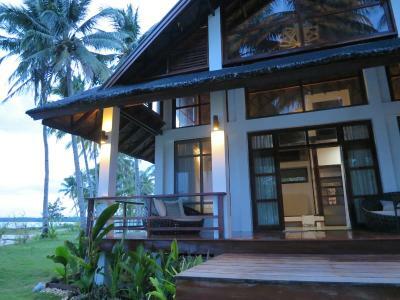 Quiet place, only 5 villas for a well landscaped boutique resort. Breakfast and all the food was superb! 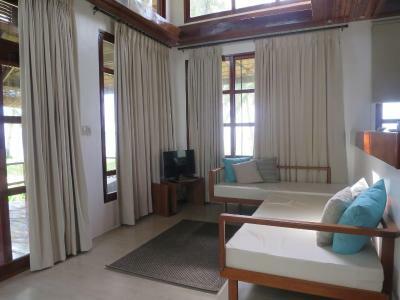 It's not huge complex with a 100 rooms, but just a couple of villas, perfectly placed not to face each other to provide their guests with the privacy they want. 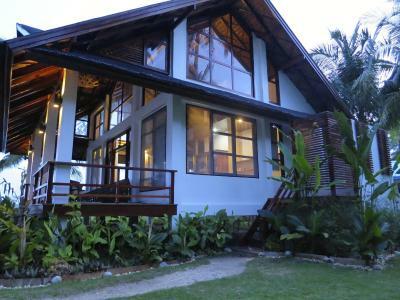 It's 10 mins ride from the busy and noisy city center of General Luna. 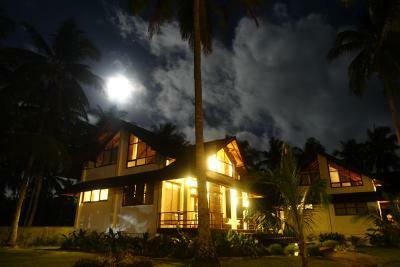 Villas are extremely nice and comfortable, staff is helpful and always at service. Breakfast is served at your villa by default. We loved every bit of our stay. 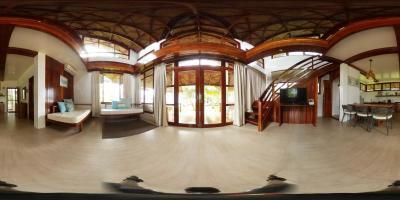 The property is stunning! The food and the service was excellent! 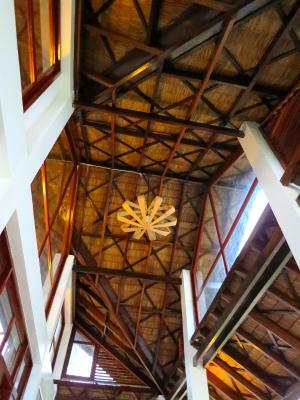 We appreciated the tasteful touches of elegance within the resort matched by the competence and warmth afforded us not just during our stay but every step leading up to it. Truly, this was one spectacular holiday. Friendly staff, excellent service and the settings is to die for. Beach swimming right on the facility. 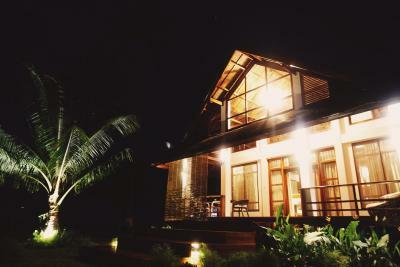 Tranquility of the place & accommodating staff.. 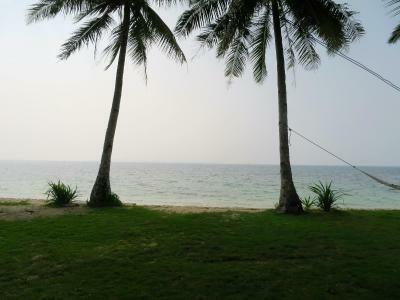 Choose this place if you want to distress and detached from the busy life...A true place of serenity. All the staff are very friendly and approachable. They will do their best to make you feel at home. They will try their best to catared to your needs during your stay just let them know in advance. Vacation was perfect because of the place and the staff. We felt like we were home. Keep it up. Breakfast is excellent! Staff are all courteous and accomodating. Place is well kept and very clean. 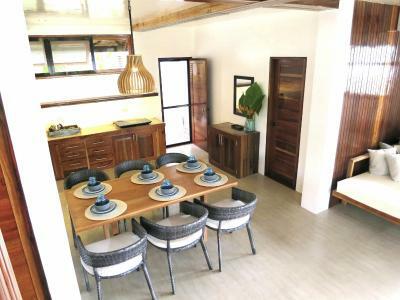 Sandy Feet Siargao This rating is a reflection of how the property compares to the industry standard when it comes to price, facilities and services available. It's based on a self-evaluation by the property. Use this rating to help choose your stay! 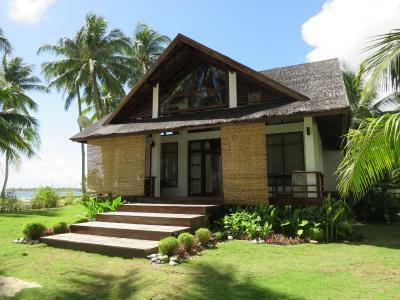 Located in a quiet area of General Luna, Sandy Feet Siargao offers resort-styled beachfront accommodations. 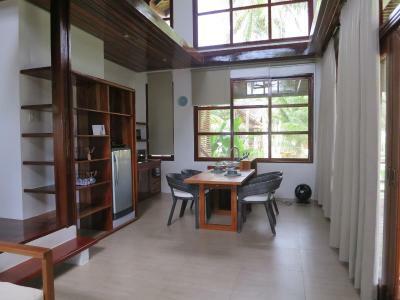 Boasting a terrace and a private beach area, the property also offers units that are luxuriously furnished and equipped with modern amenities. 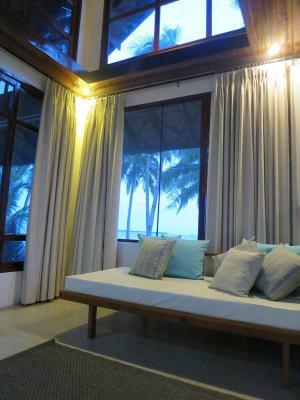 All rooms at Sandy Feet Siargao are air-conditioned and equipped with additional ceiling fans for added ventilation. Fitted with flat-screen cable TVs, the units also feature private bathrooms that features an outdoor shower, complimentary toiletries a hairdryer. 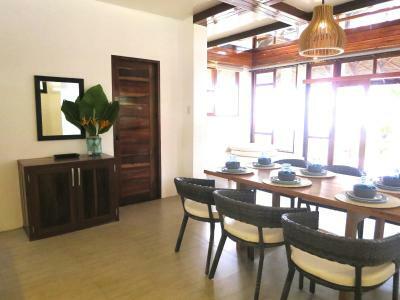 The villas also include a fully-furnished kitchen that offers a microwave, coffee maker, induction stove and a dining table. 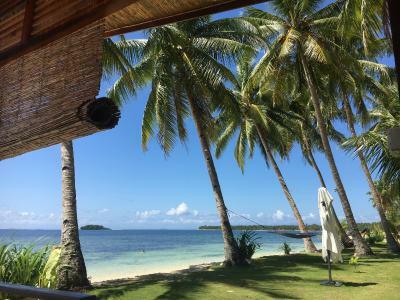 Activities such as paddle boarding, snorkeling, diving and island hopping are among the activities that guests are able to enjoy at Sandy Feet Siargao. Guests may also enjoy drinks and views of the sunset at the outdoor gazebo. When would you like to stay at Sandy Feet Siargao? 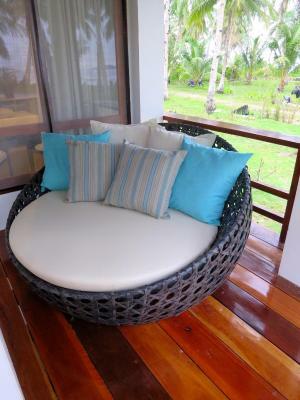 Sandy Feet Siargao welcomes its guests with unparalleled serenity and comfort. 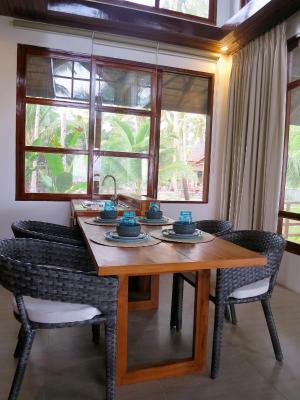 If you’re looking for a peaceful, intimate getaway, our villas are perfect for small families or couples. Just 2 kilometers outside the town of General Luna, the world-famous Cloud 9 surf spot is only a 10 minute ride by motorbike. 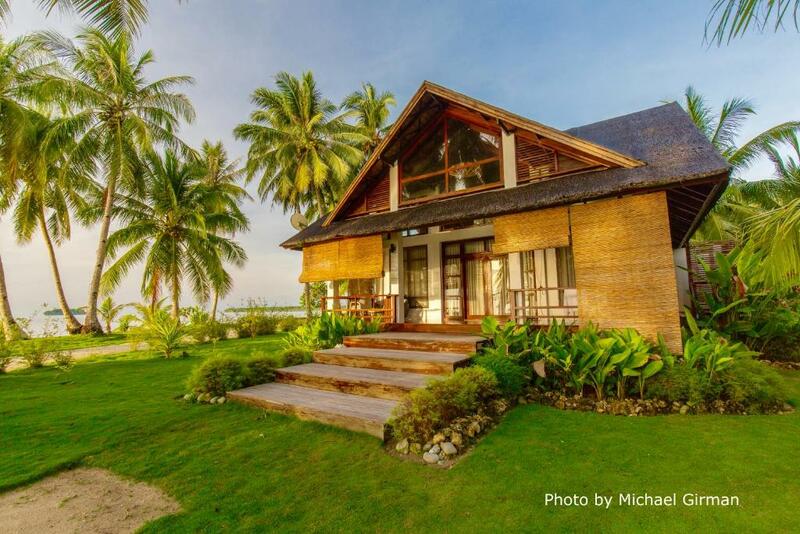 Private, spacious & quiet, this cozy bed and breakfast offers all the comforts of home while you enjoy the view of the 3 famous islands of Siargao - Guyam, Dako and Naked Island. 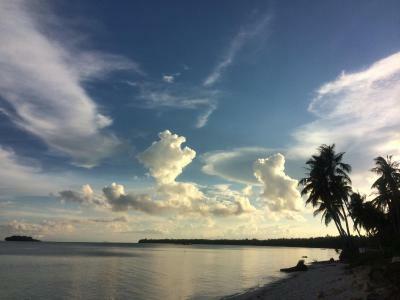 Spend a lazy day lounging around and soaking up some sun, or cool off by swimming in crystal clear blue waters of the Pacific while your toes welcome the feel of the cool powder-white sand of Malinao beach. In the evening, keep things casual by firing up the barbecue and dining alfresco on the large verandah which offers additional seating for lounging while enjoying the cool sea breeze. 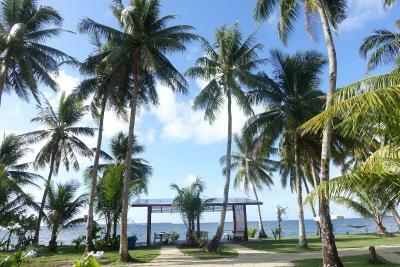 Escape the stress of the real world by walking along the quiet and pristine shorelines only this part of Siargao offers. 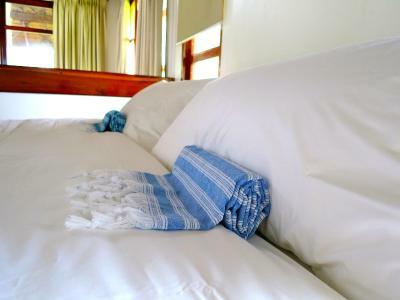 The good life gets even better as the villas include daily housekeeping, and our friendly staff are all dedicated in ensuring you have the perfect holiday. 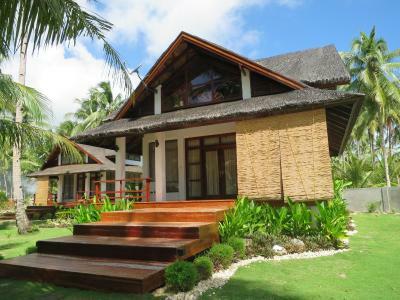 House Rules Sandy Feet Siargao takes special requests – add in the next step! Up to two children under 6 years are charged PHP 500 per night when using existing beds. All that’s missing is beachside cocktails! Clean villa, facilities and surrounds Meal times were satisfying - hearty, tasty home cooked meals and the servings were generous Mini bar and food prices were fair and reasonable Courteous and polite staff Great customer service provided by the team Great location close to town centre but far enough to avoid the tourist spots. The team looked after everything, I just let them know what and when meals needed to be served; what activities/ tours we wanted to do and they took care of the rest. The ‘no fuss, no worries’ attitude was a breath of fresh air! 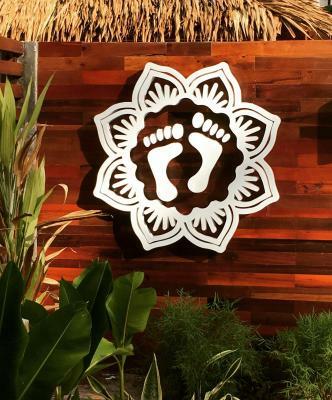 We lived our stay here and would not hesitate recommending this place and will be the first place in mind on my return trip. No laundry facilities in villa. Laundry service is available but charged. Guests staying more than 7 days could receive free laundry service. A standard toaster would have been handy too. Location was quiet. Not to far from General Luna. Friendly and helpful staff. A lot of cable channels. In-house dining meals was fantastic. Free drinking water. They do not have a restaurant on site, so you will need to go into town to eat lunch and dinner, which is a great way to try the amazing restaurants. You can special request lunch/dinner meals that the on-site kitchen that prepares the breakfast (highly recommend the smoked bangus from the Filipino breakfast), but they need advance notice. We opted to head to town for our meals. Rhia and Neneng were great and helpful hosts/guest coordinators. 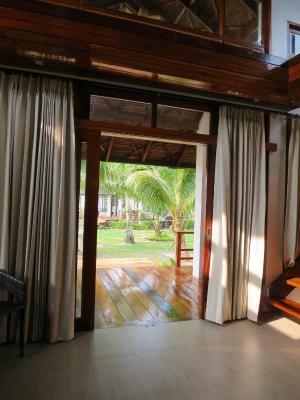 The resort is located in Malinao, a short tricycle ride (maybe 10min) from the main drag in General Luna, which we appreciated as no one in our group of 4 was interested in staying out late and partying and like to avoid the large crowds. 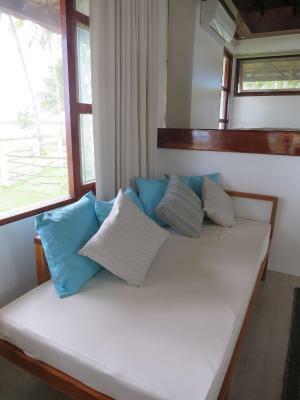 The grounds are well kept, the beach is beautiful and literally a stones throw away from your villa (depending on which one you're in), the villas are spacious, clean and tidy, and the beds and "couches" were just as comfy as well. 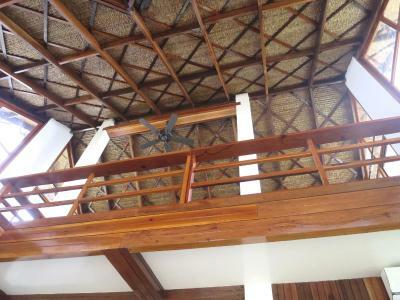 Complimentary paddle boards, hammocks by the water, dining tables on the beach should you like to eat there, and complimentary filtered water. A/C worked well along with the ceiling fans - actually so well that I had to use the blanket! Great water pressure and there was hot water (so long as you remember to turn the water heater on before showering). 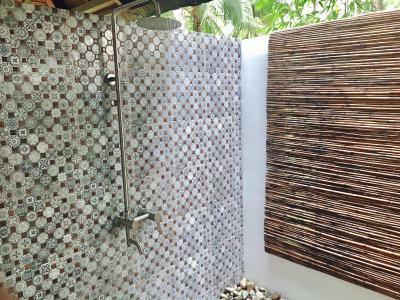 Also appreciated the outdoor shower to rinse off after the beach and area to hang wet items. Neneng was extremely helpful in organizing motorbike rentals for my friend and I (500php for 24hrs), an airport shuttle (1500php each way), calling a tricycle to head to town (since you're not on the main drag, tricycles rarely frequent the area enough to just stand outside the resort), scheduling in villa massages with Ate Ruby (firm, therapeutic, and glorious!). Can't say enough great things about the resort and their staff. My wife and I liked our bed but our kids were unsatisfied as theirs was more of a sofa bed and they seemed to get bitten a lot. The villas say they are built for six people but there was only one bathroom so I think if there were any more us we would have struggled. There was no restaurant in the hotel so you have to go out every night but we didn’t mind too much. The showers were often very cold even after waiting between showers. I never had one warm shower my whole stay, which was disappointing. Loved the beach! Liked the hammock too! 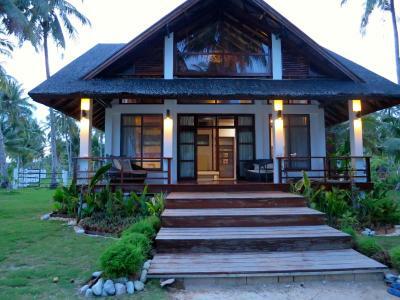 The design of the villas were nice. Staff were efficient and friendly. We liked hiring mopeds and taking a boat organised by them. WiFi and cellular signal in that particular area is really bad but the cellular signal in siargao in general is pretty bad. In terms of location, it is actually pretty far from the center of general Luna and it is expensive to take a trike to and from sandy feet. 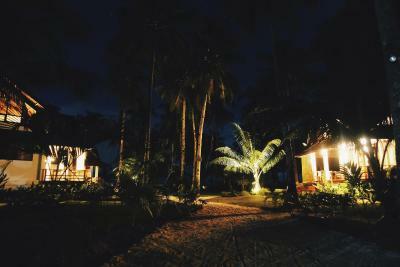 The resort is very nice with good landscaping and quite peaceful. the villas were huge and Well designed. The service was also pretty good. They set up your breakfast in the villa every morning. Amazing villa with indoor and outdoor shower! The only downside to this place is the beach and more precisely how shallow and full of seaweed the water is. Not fit for swimming at all. 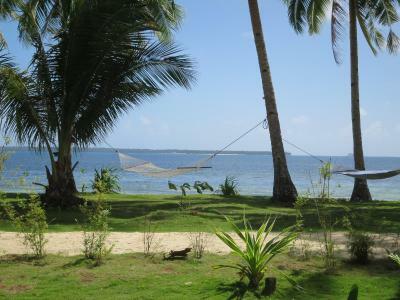 Best place in Siargao for relaxation!